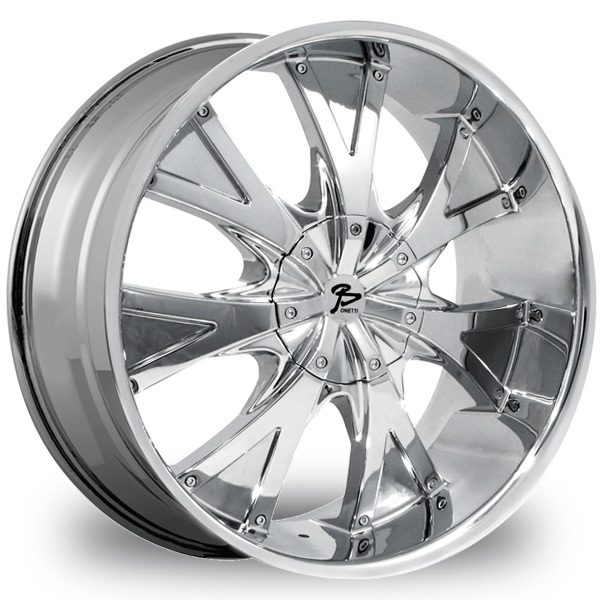 This is the magnificent "BONETTI 83" rim, it has a BLACK/W CHROME finish, a remarkable rim, has a good elegant look to it, and a very smooth ride to it, Has a mid lip for those looking for a lil lip but not too much "JUST ENOUGH". Very dependable rim, does not rust or mold at all like all those other flimsy rims. One of the best wheels you can have under your vehicle, to make it look beautiful and also have that fancy look.